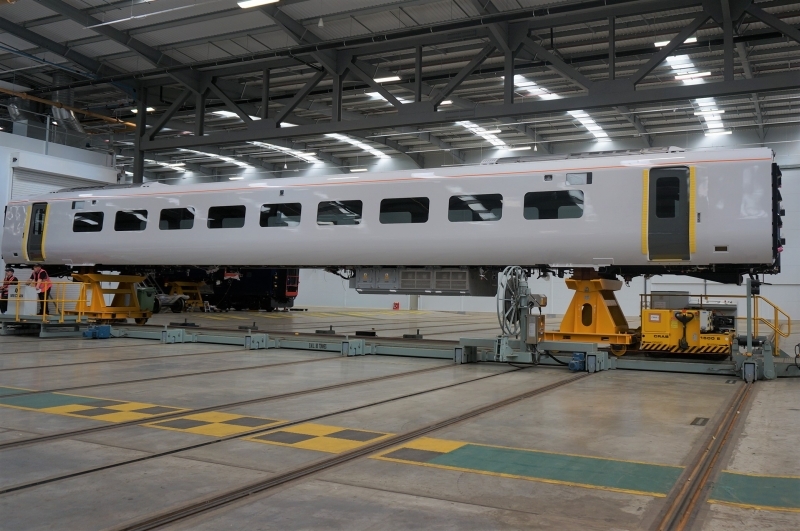 In 2015, Hitachi Rail Europe opened their new train factory at Newton Aycliffe in County Durham. We take a look inside and explore the facts & figures behind the site. 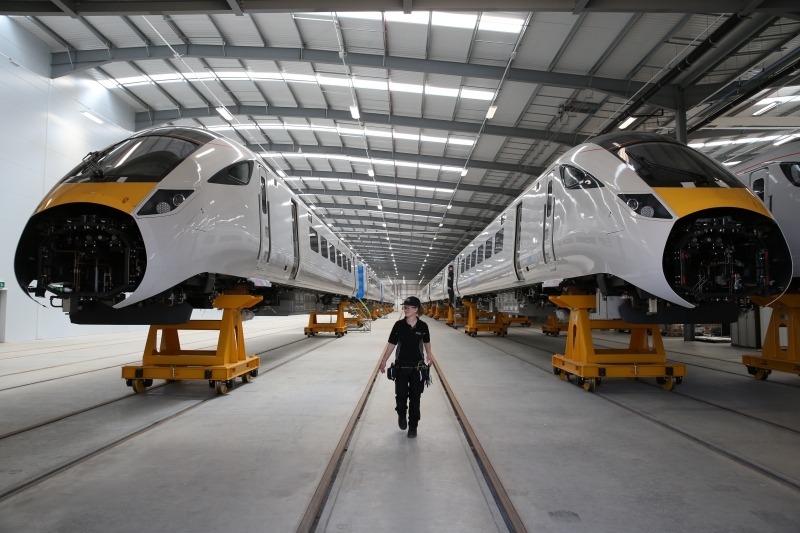 Hitachi Rail Europe’s Newton Aycliffe plant is home to 750 employees where they currently build two types of trains. The £82 million initial investment in the Newton Aycliffe plant was officially opened in 2015 by then Prime Minister, David Cameron. 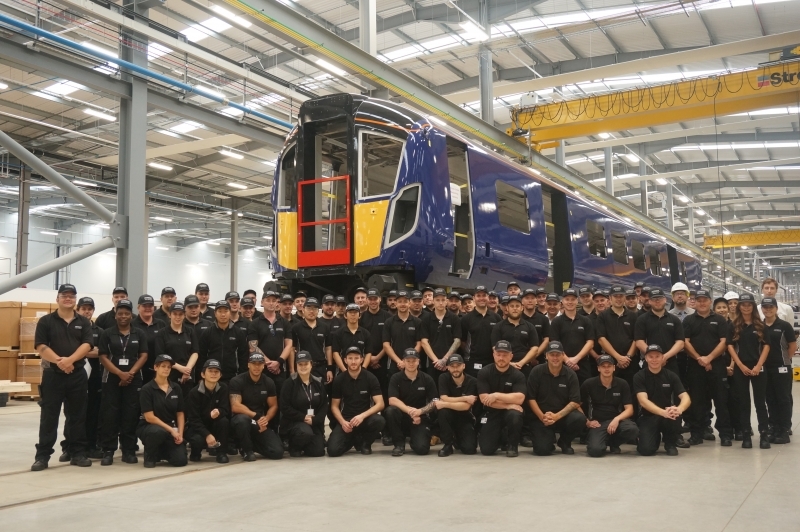 The first finished train built at Newton Aycliffe rolled off the production line in 2016. 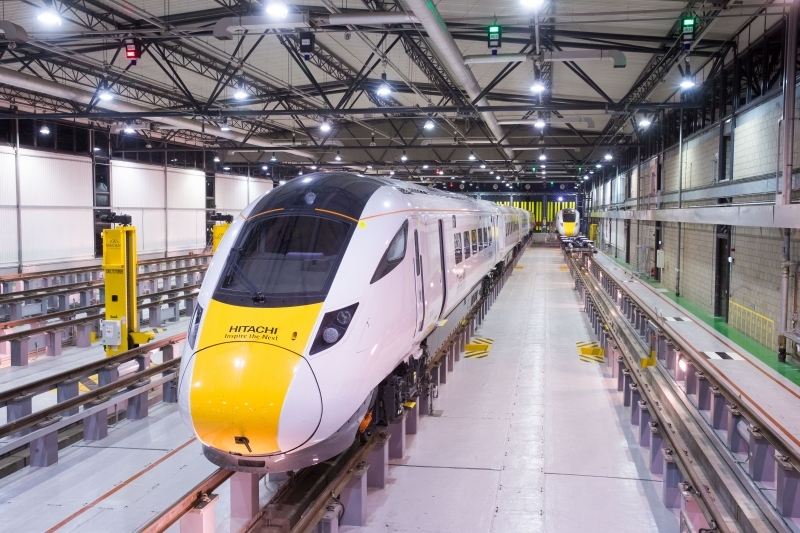 It takes approximately six weeks to build a train carriage, followed by another six weeks of testing – including static and dynamic testing on Hitachi Rail’s dedicated test track. 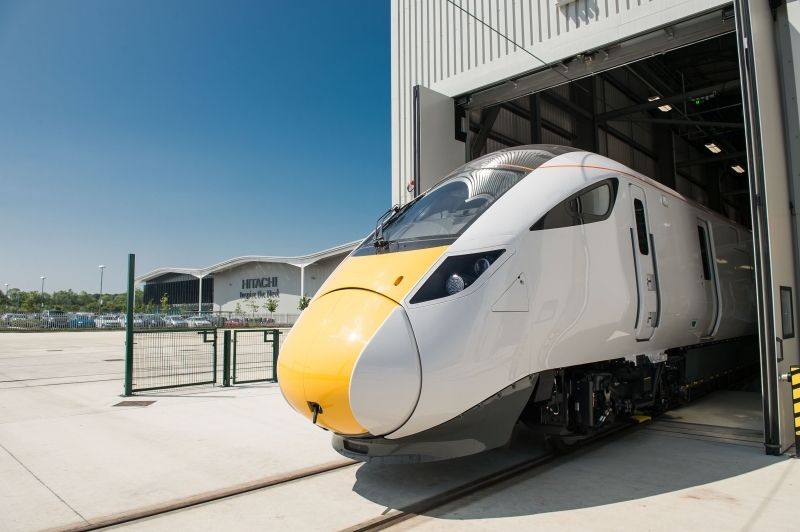 In July, Hitachi Rail and Derby-based Bombardier announced a proposed joint venture that would see the two firms bid to design, build and deliver a fleet of bespoke state-of-the-art high speed trains for HS2. 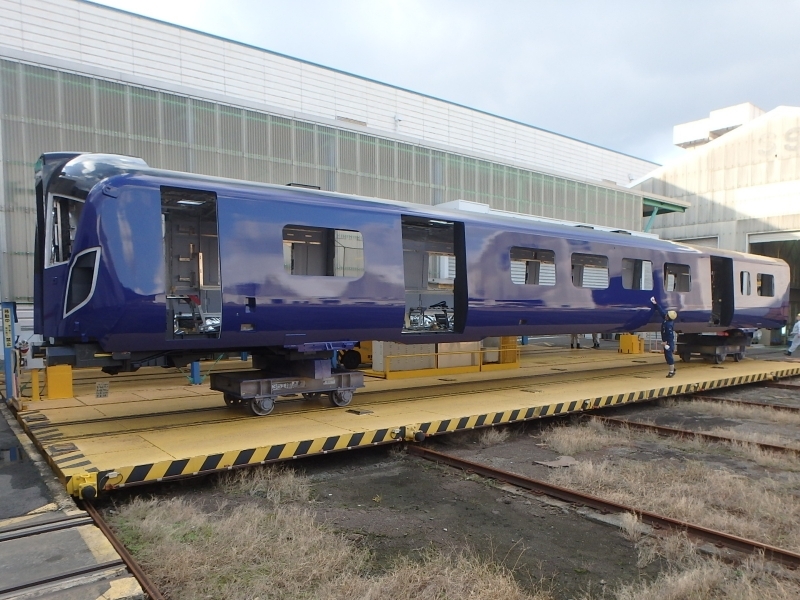 Bodyshells are made at the firms Kasado Works in Japan before being shipped to Newton Aycliffe where more work is carried out. 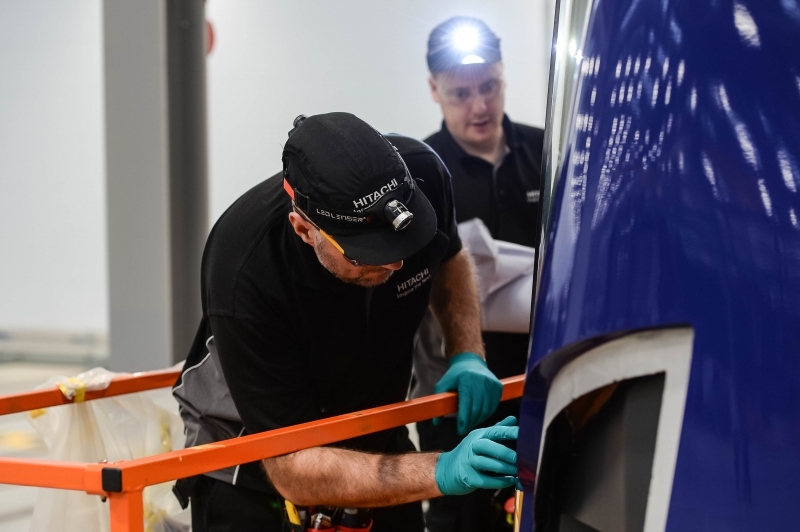 Over 70% of parts fitted onto the trains at Newton Aycliffe are sourced from a 40-mile radius of the plant. 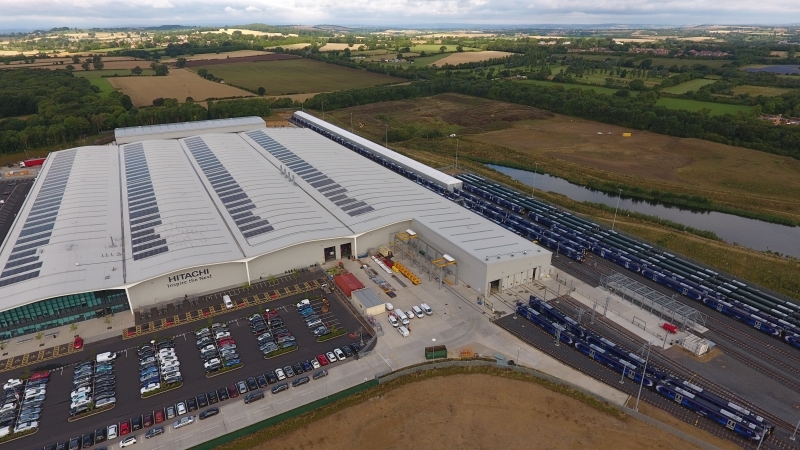 The state-of-the-art facility is built close to where Locomotion 1 ran on the Stockton to Darlington railway line, almost 200 years ago. 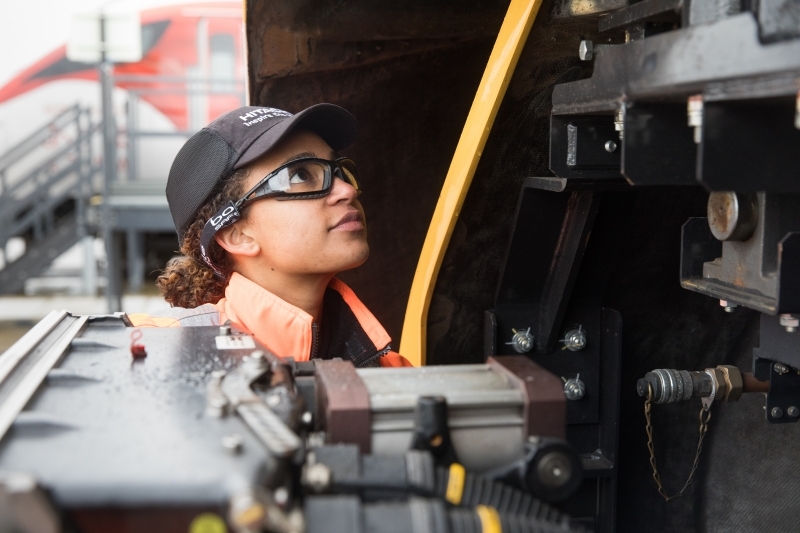 Hitachi Rail has launched a brand new educational programme with Primary Engineer that will see 2,700 5-to-11 year olds learn about engineering with the help of experts in the field. 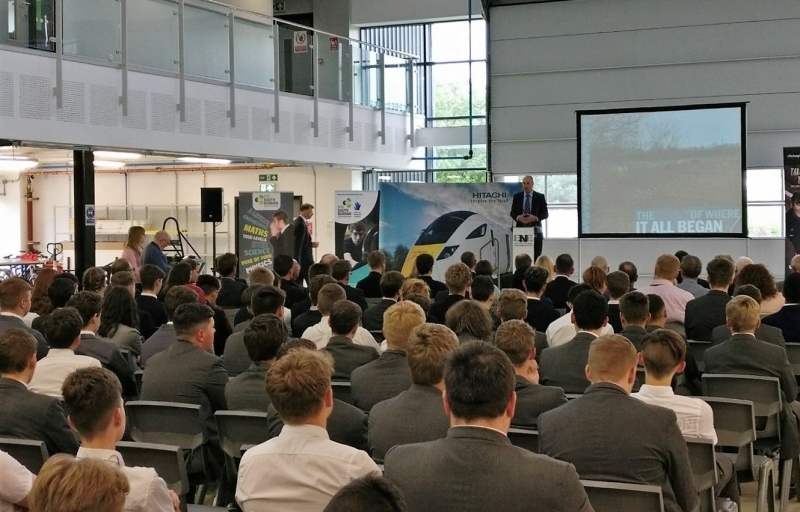 The project with 50 schools across the country aims to inspire the next generation to meet the UK’s growing engineering skills gap. 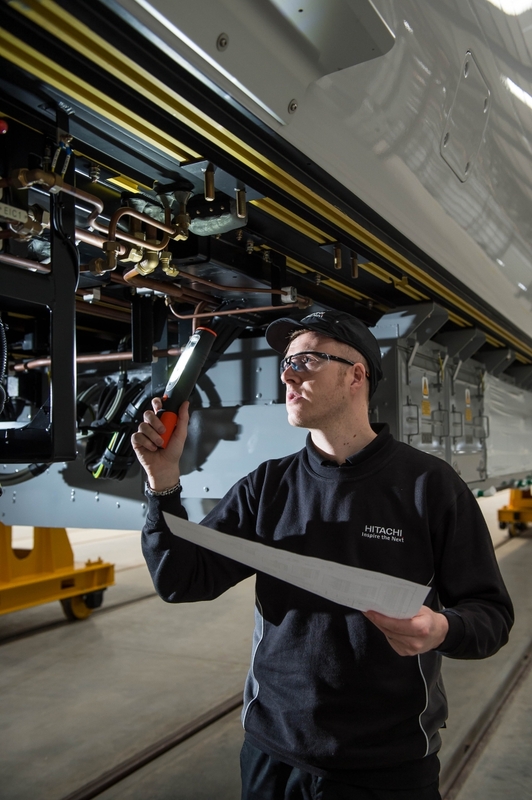 Since the plant opened, over 50 apprentices have joined Hitachi Rail at Newton Aycliffe and started their manufacturing careers. 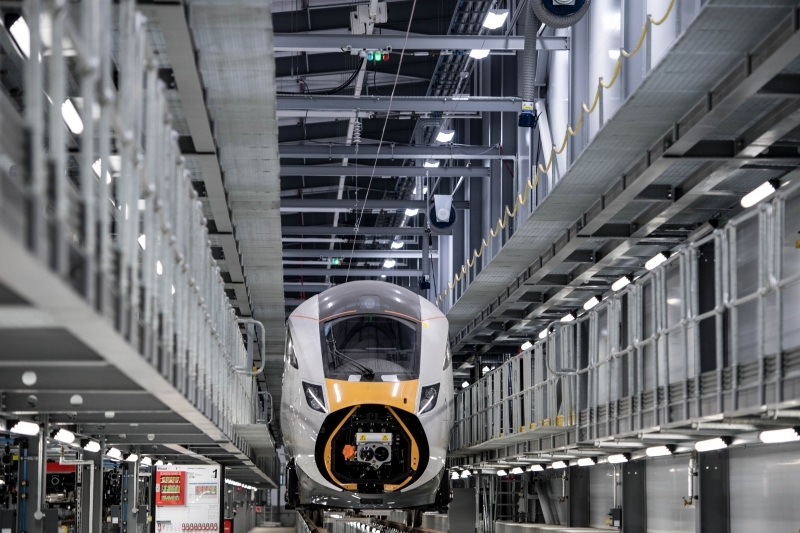 Hitachi Rail has spent over £600 million in the UK supply chain in the last few years, using 1,166 British suppliers, giving new opportunities to many small businesses across the UK. £20million was spent with local suppliers in 2017 alone. 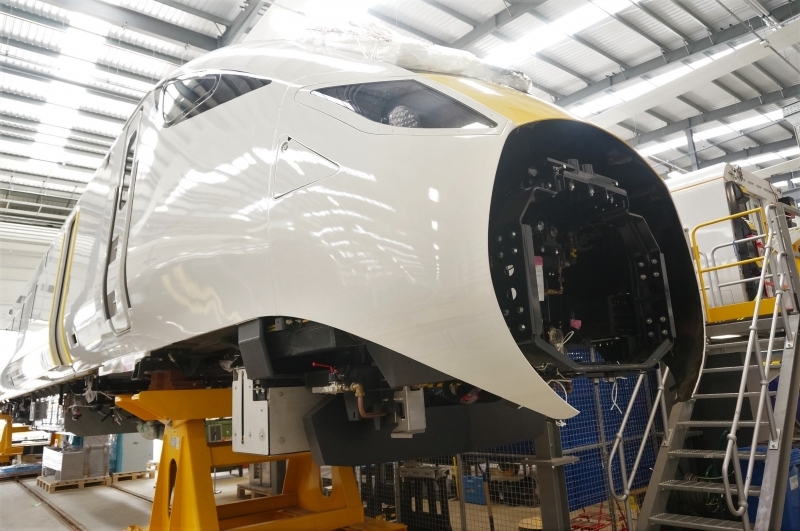 In August 2018, production began on LNER’s new Azuma fleet, soon to be carrying passengers along the East Coast main line, connecting London and Yorkshire. Hitachi Rail trains harness Japanese bullet-train technology. 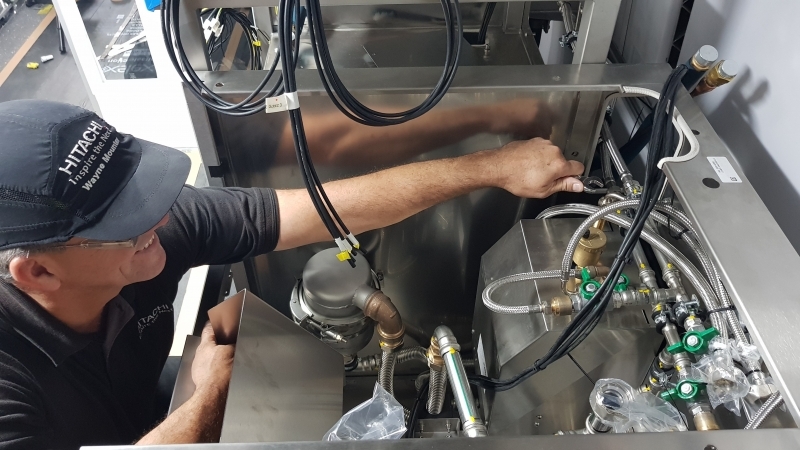 The team at Newton Aycliffe has worked closely with their colleagues from Japan as part of a knowledge transfer process. 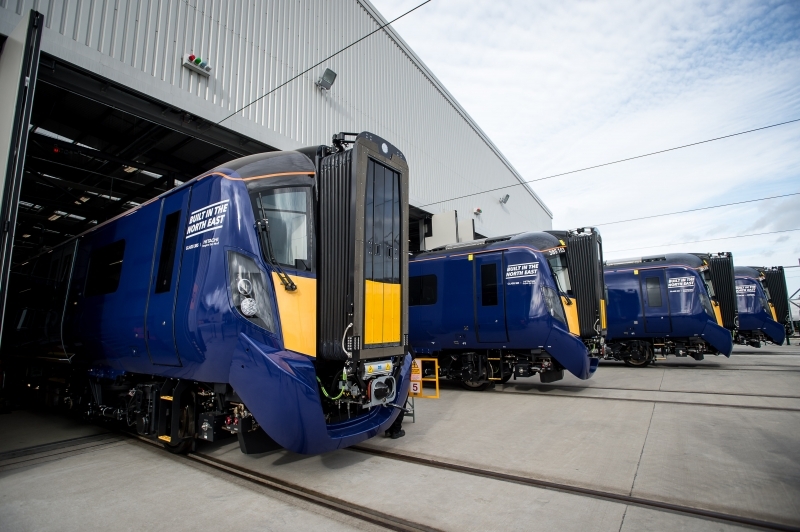 The Newton Aycliffe plant builds Intercity express trains for the Great Western and East Coast routes, and commuter trains connecting Edinburgh and Glasgow. 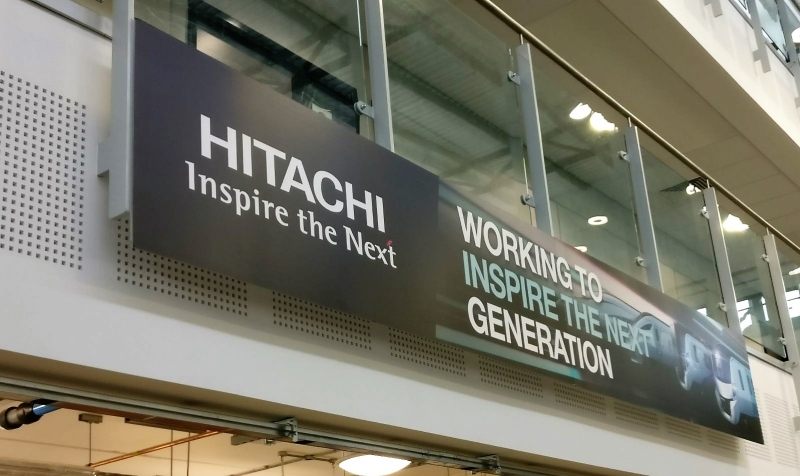 The site has seen further investment since 2015, including the opening of the new £5 million ASPIRE building this summer, which took Hitachi’s total investment to over £100 million. Hitachi Rail co-founded a new university technical college next to the site to encourage long-term skills in the area. The UTC South Durham teaches those aged 14-18 technical engineering skills. 2018 saw the first apprentices join from the college.